Serverless architecture is a trending software design pattern which eliminates the demand for server software and hardware management by the developer. In a serverless architecture, also known as serverless computing or Function as a Service (FaaS), a third party service (known as Backend as a Service or “BaaS”) hosts the applications. As the name indicates, it does not really involve running code without servers. Instead, the person that owns the system is not required to purchase, rent, or provision servers or virtual machines in order to run the backend code. AWS Lambda is the best example of serverless architecture which implements Function as a Service model of cloud computing. Serverless computing ensures the possibility of ideal, budget-friendly business implementations. A serverless application is implemented in stateless compute containers managed the cloud provider, which are event-triggered, ephemeral (may last for one invocation). Pricing depends on the number of executions in lieu of the pre-purchased compute capacity as in traditional architecture. Function as a Service allows the developers for the execution of code in response to events eliminating the intricacy of developing and maintaining infrastructure. The serverless code written using FaaS can be used in combination with codes written in traditional server style. FaaS breaks the applications to function and event levels. Christos Matskas provides a useful summary for anyone developing cloud-based applications. Large scale serverless applications can be built using Java. Java approach is very much efficient in building a variety of scalable, evolvable, and multi-lambda serverless applications. Client requests to accomplish a specific function to the serverless computing platform. The serverless computing platform initially checks whether the function is running on any of its servers. If not, the platform loads the function from a data store. Then the function is deployed to one of its servers, preconfigured with an execution environment to run the function. The function is executed to capture the result. The result is returned back to the client. Then functionality is carried out followed by a data interaction to meet the user requirements. 1. Reduced Operational Cost: Being an outsourcing solution, it paves the way for the payment to manage servers, databases and even application logic. The cost-cutting comes out of two aspects, infrastructure cost gains, and labor cost gains. You are just charged for the number of executions. 2. Easier operational management: Setting up various environments for serverless architecture is very simple and easy. It provides a clear separation between infrastructure services and applications. Operational management overheads are reduced with automatic scaling functionality. A serverless system does not demand continuous integration, continuous delivery or containerization tool. The Zero system administration is yet another advantage of a serverless system. 3. Faster Innovation: Serverless architecture has eliminated the problems of system engineering, possibilities for faster innovation and update the technology for an efficient outcome. Giving up the system control due to the implementation of API can also lead to a system downtime, reduced functionality, cost changes, unexpected limits, and forced API upgrades. Switching vendors is also a very complicated problem. Many APIs keep your serverless system vulnerable to attacks and each API raises the number of security implementations. 2. Lack of operational tools: Vendors are responsible to provide debugging and monitoring tools. In serverless architecture, as the user requests are handled by opaque load balancers (like AWS API Gateway), the flexibility of access to the various parameters to identify the root cause is missing. 3. Architectural complexity: They are complex and takes a long time to build. It takes a lot of time to assess, implement and test, and Decide upon how small the functions should be. A balance has to be maintained between the number of functions and an application call. It becomes tedious to manage so many functions and ignoring granularity will result in creating unwanted confusions. 4. Networking: The serverless functions are accessed only by private APIs. Hence, you cannot access them through the usual IP. 5. Timeout: As a 300-seconds time out limit is associated with serverless systems, too complex and time consuming functions does not suit. Certain tasks are also found impossible due to this limitation. Hence serverless systems become unusable for applications with variable execution times. Serverless architecture is something to implement if the system really demands it. Have a detailed study to understand how well it suits your operations. Serverless systems are still in the nascent stage and organizations following serverless systems should take into consideration the over-dependency on third-party APIs and difficulties with architectural complexity. 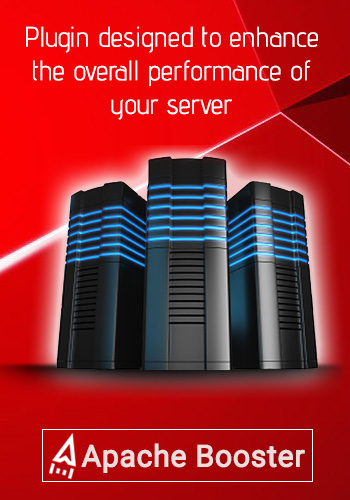 If you want to improve your server performance then you will have to do the website speed optimization. You may also go for installing some reliable plugins such as Apachebooster for further assistance. Containing both Nginx and Varnish, this cPanel software plugin is bundled with superb functionality. Technology AWS Lambda, improve website speed using cpanel plugin, serverless architecture pros and cons, what is serverless architecture. permalink.